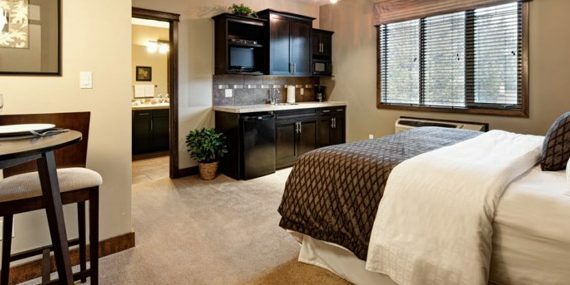 Similar to a hotel room, with an open-concept living and sleeping space, our Guest Rooms are the only non-suite accommodations we offer at Bighorn Meadows Resort. Each guest room features a King or Queen bed, shower or bathtub, TV, and galley kitchen (small fridge, sink, coffee maker, and microwave). These units are adjoined to our 1, 2, & 3 bedroom suites through a common entryway. Daily housekeeping available for an additional cost. 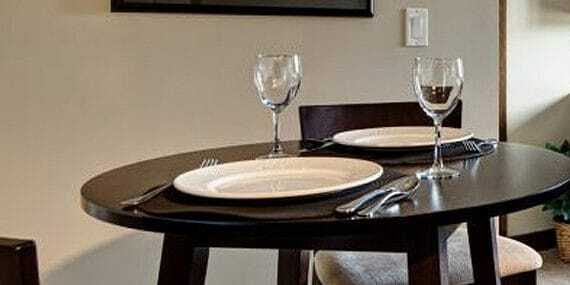 Guests also receive full access to the resort’s amenities. Each unit also includes a starter supply of coffee. A/C is available in some Guest Rooms, please inquire for availability upon booking.